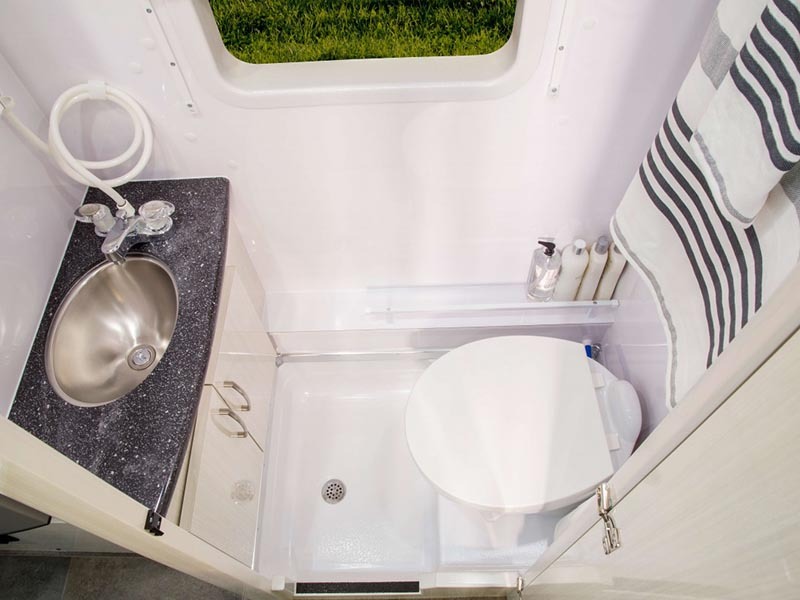 Class B RVs, or “camper vans”, can be easily used as both RVs and as transportation vehicles due to their smaller size, mobility, and good fuel economy. 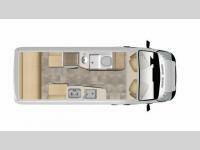 The Pleasure-Way Lexor TS is built on the Ram ProMaster chassis with a slightly wider base, which offers a more open and roomy space for the interior but is still small enough to be easily driven through town and parked in any vehicle-rated parking space. 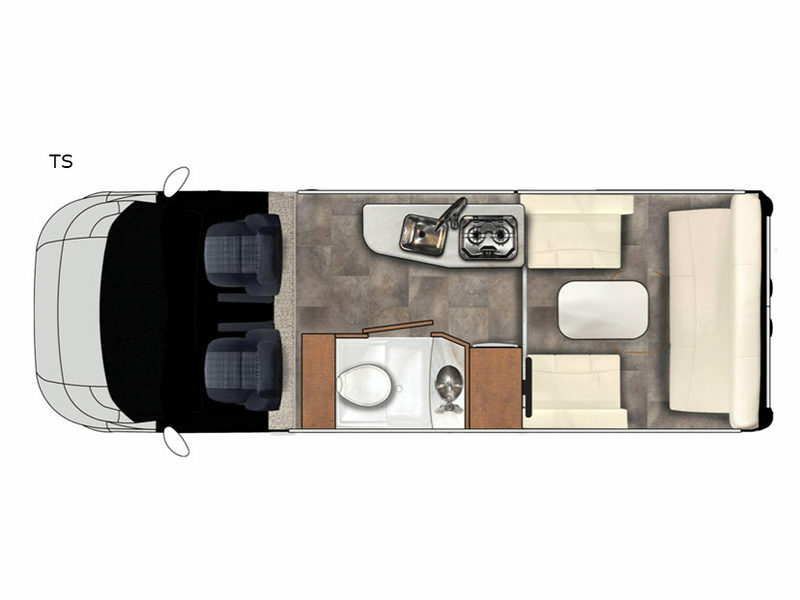 Visiting Vogt RV, your Dallas Pleasure-Way RV dealership is a good way to become more acquainted with the driveability of the Lexor TS. 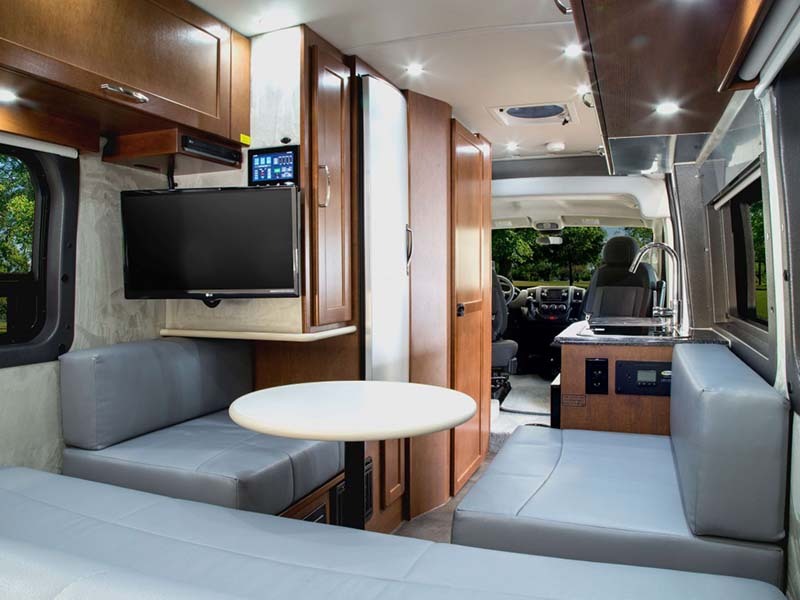 The Pleasure-Way Lexor TS 21-foot RV, available at Vogt RV Centers, has plenty of power with a 2000-watt pure sine wave inverter, a 2.8 KW gasoline generator and dual 100-amp lithium batteries. 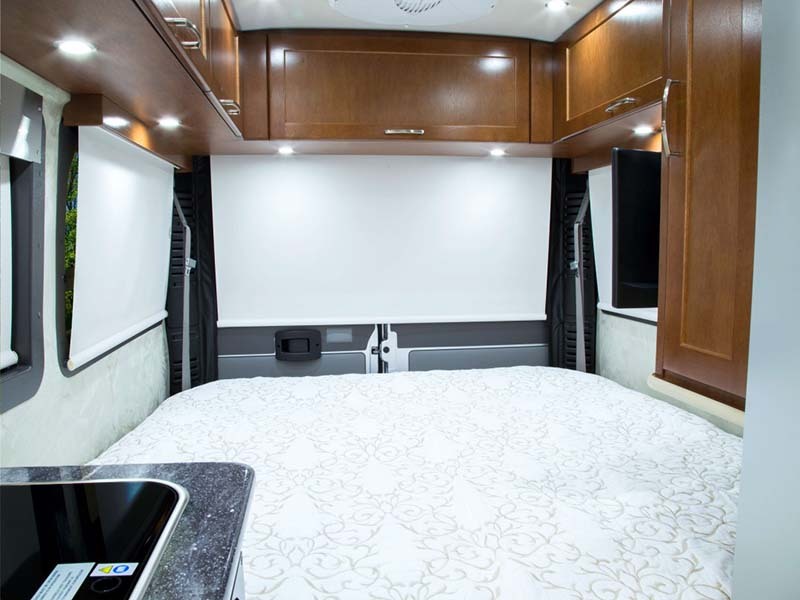 Luxurious touches include two 7-inch touch screen control panels, privacy shades, an expansive wet bath, a Corian kitchen countertop, and a queen size bed.